"IIHS TOP SAFETY PICK AWARD"
Lease this 2018 Kia Sportage AWD LX. Model# 42422/10. Total due at lease signing of $2999.00. $3,100 rebate is being applied. 36 monthly payments of $184.43. Total lease charge of $6,639.48. $0.00 Security deposit. Residual of $15,528.80. Cap cost of $18,949.00. Cap cost reduction of $2,814.57. MSRP $26,320.00. Acquisition fee of $650.00. On approved credit, min 750 FICO score. Based on 10000 miles per year, excess miles charged at $0.20 per mile. Early lease termination fee may apply. $400.00 disposition fee. Plus tax, license and title, and $125 title and registration processing fee. Option to purchase vehicle at lease end is $15,528.80. Total Savings Offer: *Stock# K15957. Subject to prior sale. APR financing available, subject to credit approval by Kia Motors Finance (KMF), through KMF, to very well qualified buyers and not available on balloon financing. 0% APR for 72 months = $13.89 cost per thousand borrowed. Offer expires 09/04/18. MSRP $26,320. Dealer discount $1,922. 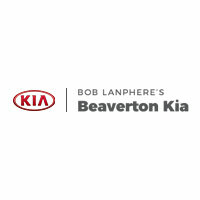 $2,500 Cash back from Kia Motors America, Inc. (KMA). Cash back offer when you purchase a new 2018 Sportage and may not be combined with finance or lease offers from Kia Motors Finance. This incentive is for a limited time offer on eligible Kia vehicles. Not all incentive programs are compatible. See dealer for details. 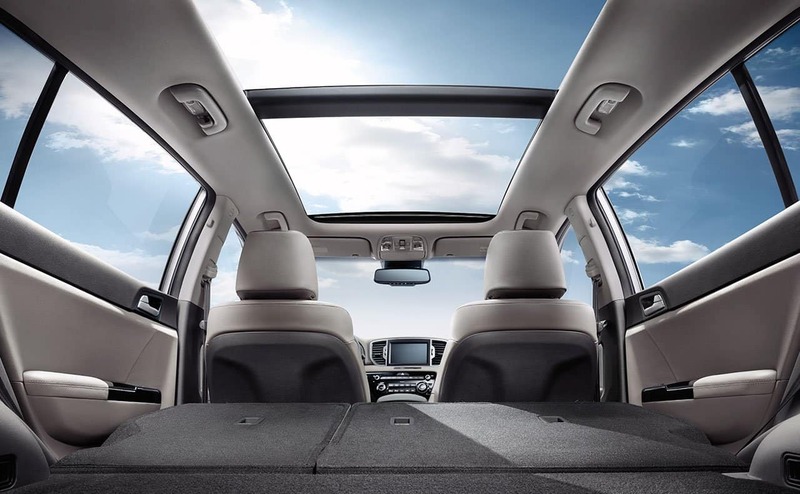 Add the open air to the drive with the available Panoramic Sunroof. Operation is easy with a full power shade and push button automatic open feature. 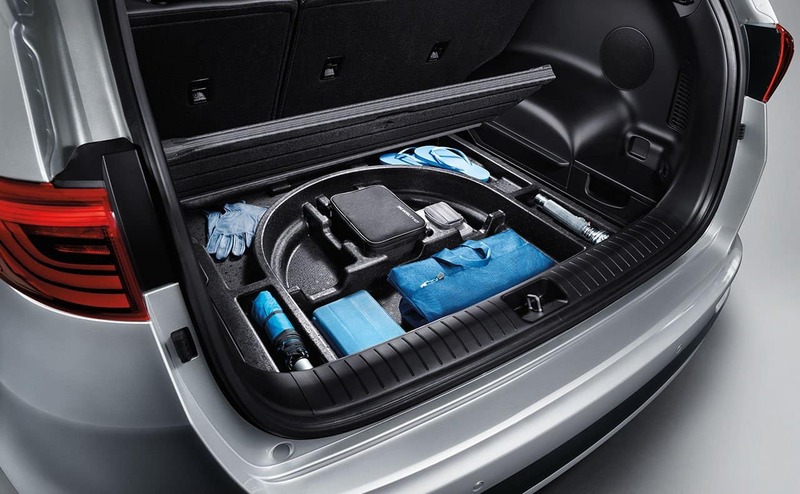 With its expanded cargo space, the Sportage has ample capacity for everything you want to take on your adventure. From sending texts or talking to Siri, welcome to a smarter way to use your phone in the car. 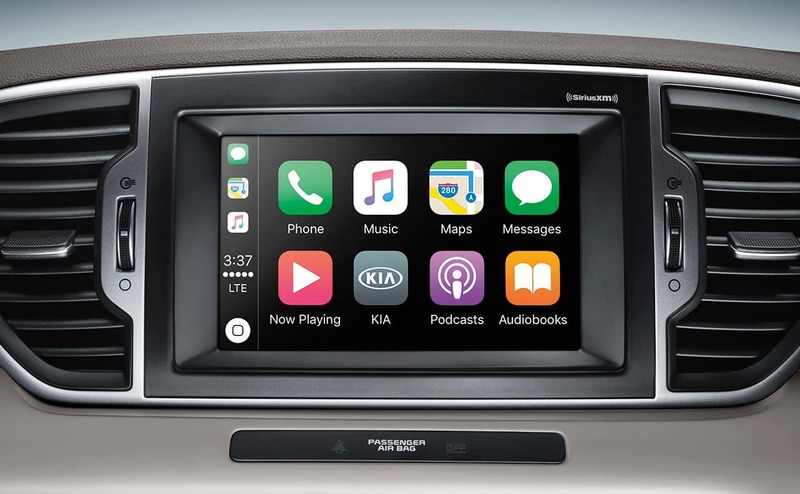 Enjoy support for both Apple CarPlay and Andriod Auto. 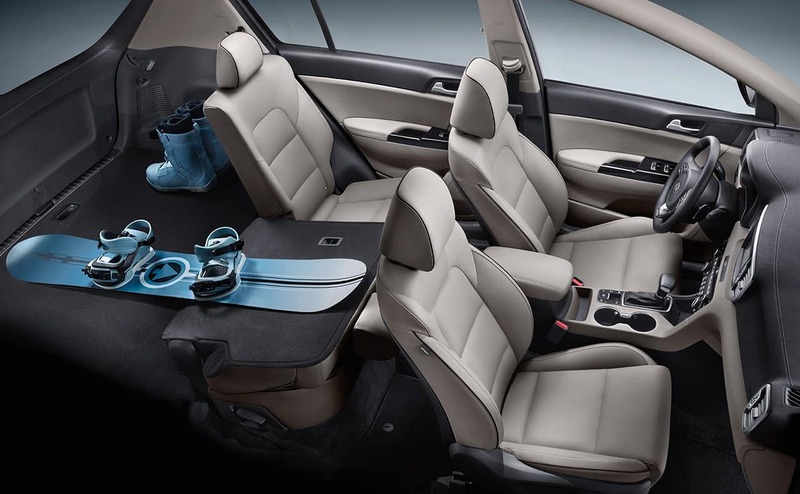 Keep your hands warm on the cold days with the available heated steering wheel. 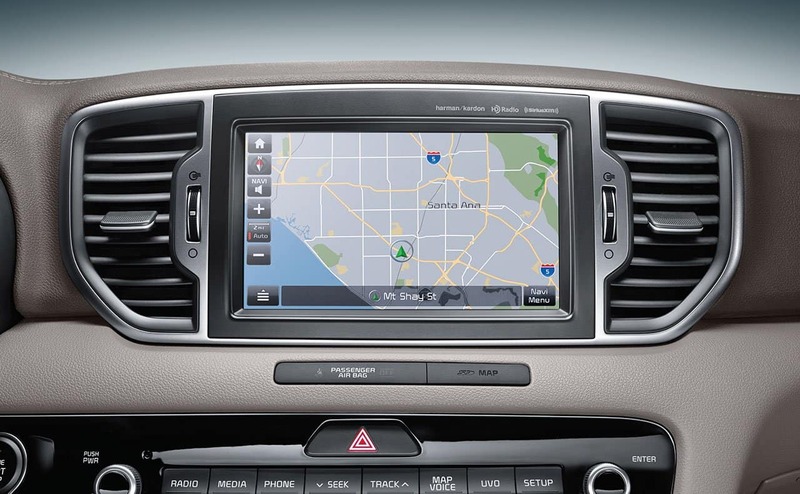 The available navigation system boasts a large 8” touch-screen display with voice-command and real-time traffic information. 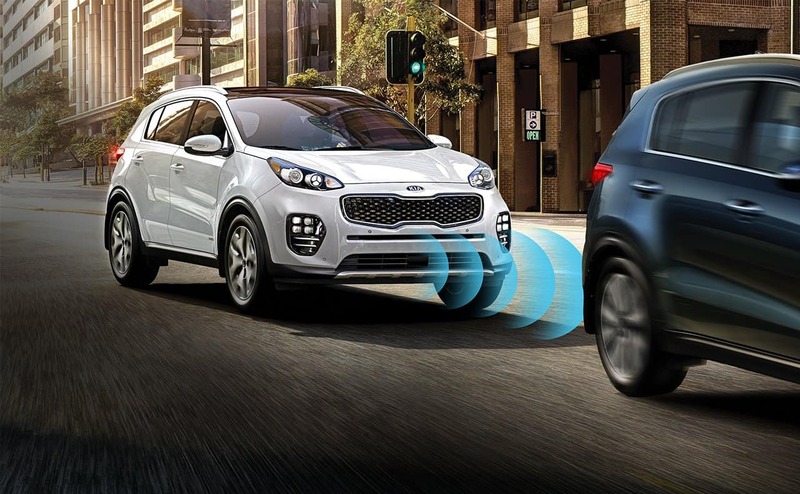 The Sportage offers a suite of Kia Drive Wise technologies designed not only to alert you of potential accidents, but also to help avoid some altogether. 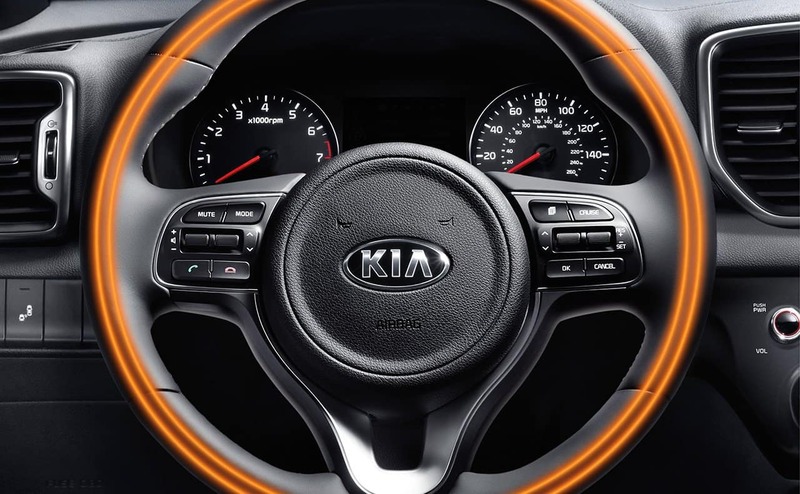 Every move will be made with greater awareness so you can just enjoy the feeling of being behind the wheel. 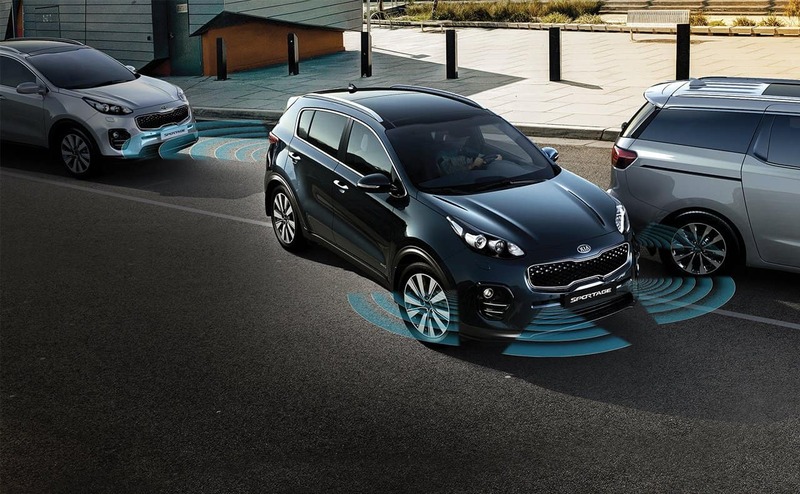 This includes Lane Departure Warning System (LDWS) which intelligently monitors the position of your Sportage using a windshield-mounted camera. If drifting outside the lines without a turn signal, then the systems gives an audible and visual warning. 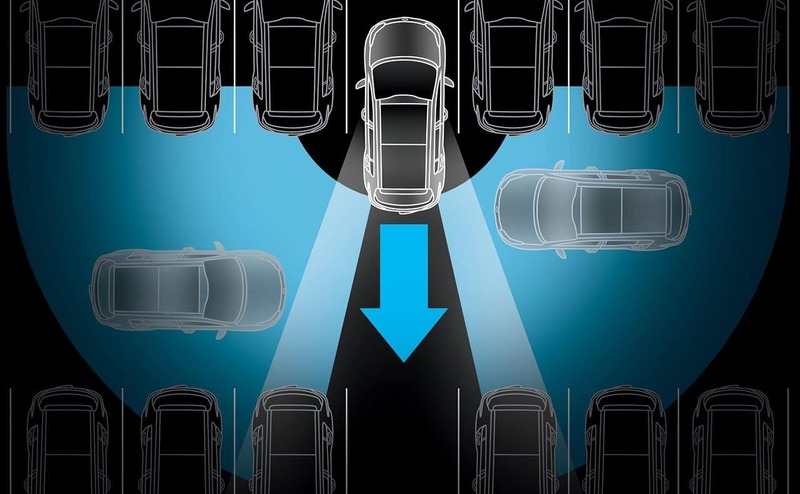 The available Rear Cross Traffic Alert (RCTA) system scans for moving vehicles as you back up. If something is detected, a warning sounds and a light appears on the outside mirror closest to the other vehicle. The available Blind Spot Detection (BSD) system is advanced tech that helps reduce the blind spots around your Sportage. This is a radar-based detection system that will send audible and visual signals to warn you of objects not in your view. 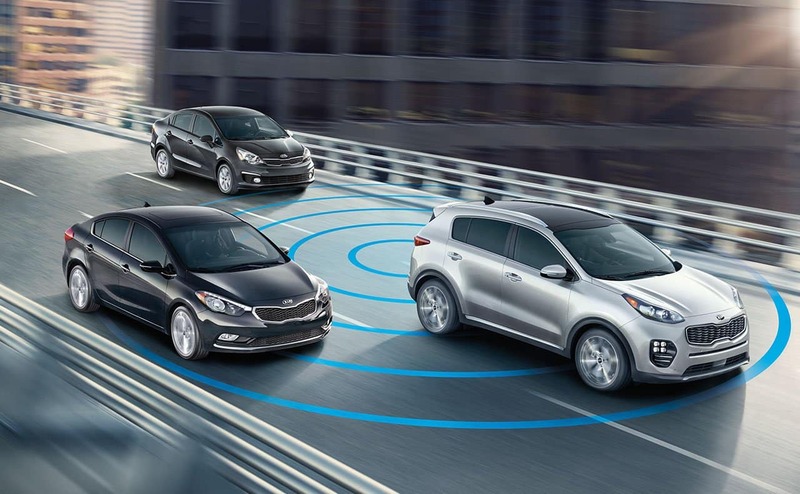 The available Autonomous Emergency Braking (AEB) system monitors vehicle ahead of you to help prevent a collision or, if unavoidable, reduce impact. Park in any spot with ease with the available Front and Rear Park Assist to guide you. 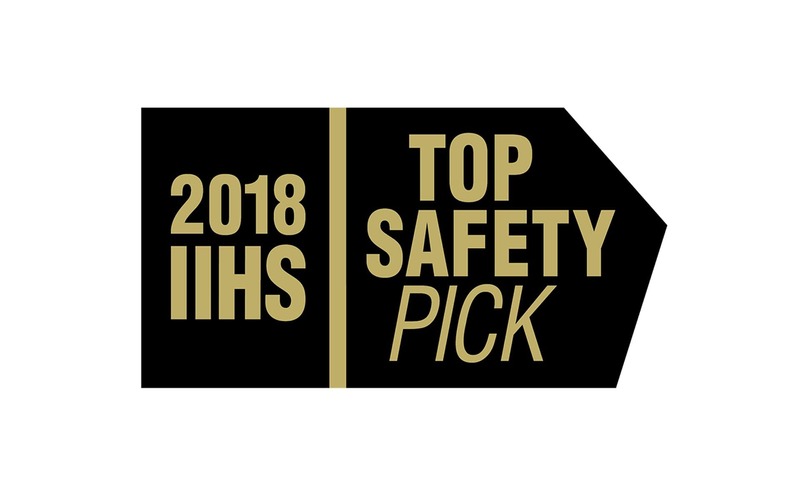 2018 Kia Sportage earns 2018 IIHS Top Safety Pick award when equipped with optional front crash prevention and high-intensity discharge (HID) headlights with dynamic bending light (DBL) built after June 2017.